A no-fuss, is a multiple feed pellet bait in a ready to use bait station, so no need to touch bait. 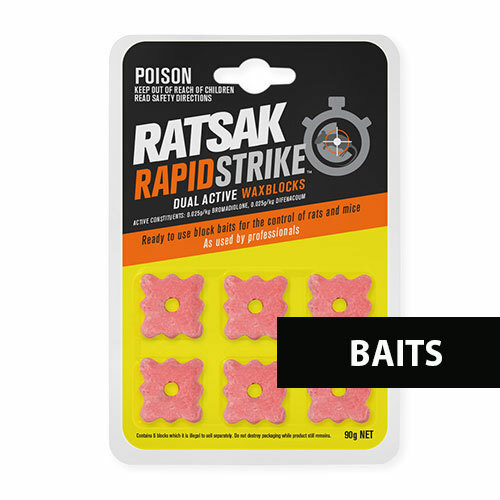 RATSAK® Double Strength is a multiple feed pellet bait in a ready to use bait station, so no need to touch bait. The original trusted formula reduces the possibility of secondary poisoning to pets and wildlife. Use pack as a bait station or pour bait into small containers. Push tab and tear back flap to expose bait and activate single bait station. If using small containers, set out baits in lots of 25g for mice or 125g for rats. 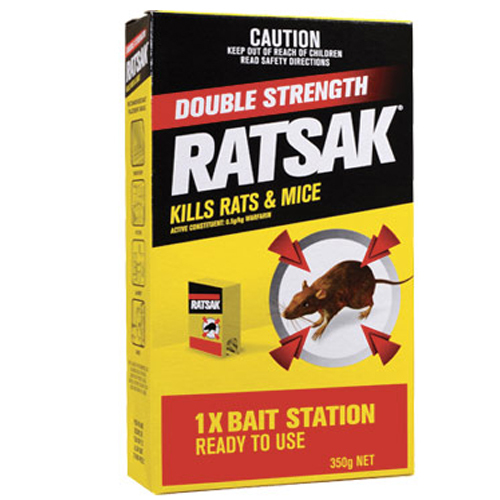 DO NOT exceed 3m between bait stations for mice or 9m for rats. Place bait stations under cover and not in the open. Record the number and locations of bait stations for later replenishment and/or removal. 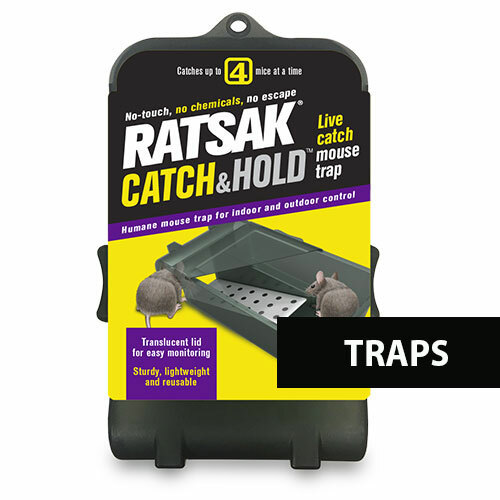 Several small bait stations give better mouse control while rats require larger bait stations in one or two locations. Bait the whole area simultaneously. 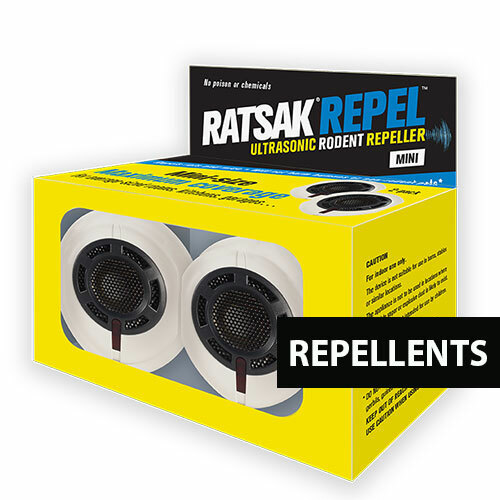 Maintain an uninterrupted supply of RATSAK® for at least 14 days for effective control. It is essential to check bait stations every 1-2 days and top these up as necessary until all feeding ceases. Place baits in locations which are inaccessible to children, pets, other animals and birds. This product is hazardous to pigs, cats, dogs, native wildlife and poultry. DO NOT allow chemical containers or pellets to get into drains, sewers, streams or ponds. Containers which have held bait should not be used for any other purpose. If on skin and after each baiting, wash thoroughly with soap and water. If poisoning occurs, get to a doctor or hospital quickly. Vitamin K1 (Phytomenadione) is antidotal.